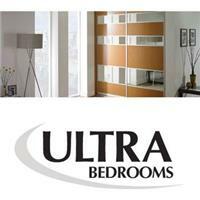 ULTRA BEDROOMS is a family run business which has been trading since 1998. The dedicated team at Ultra Bedrooms have been with us for many years, from the surveyor to the fitting team. Our bespoke fitted furniture is the perfect choice for your bedroom and kitchen, as well as studies and home entertainment centres. We specialise in sliding door wardrobes, and have many styles on display in our showroom, where our friendly staff will be happy to show you around and offer advice on that special project for your home. Our design service is free, and can be arranged to suit you, whether it be in the evening or at the weekend. Why not come along to our showroom to browse our displays and have a chat about the room you have chosen to transform.